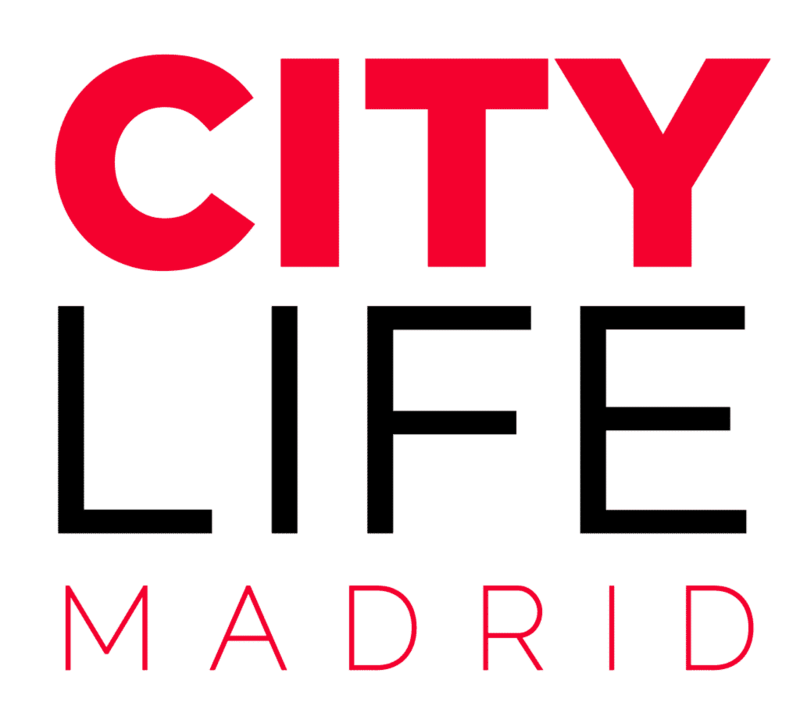 The information below has been collected by the Citylife team via intense research in collaboration with Proyecto Océano, one of Madrid’s most known legal associations. Please keep in mind that we are not directly related to any legal or government departments and the information may be subject to change. 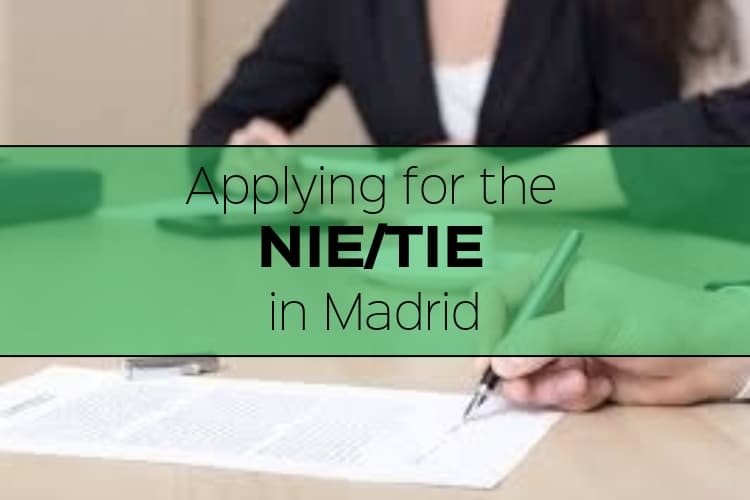 Before diving into the details outlined in this article on how to apply for your NIE or TIE, please make sure to understand what documents you really need to live, study and/or work legally in Spain! To do so, simply read as a first step our main article and follow the instructions there! I. Request an appointment online by clicking here! Before going to your appointment, you will need to pay the 012 tax fee (model 790) in the amount of 12,00 Euros (July 2018). Open the tax document here and fill out the form with your personal data. Click the section labelled “Certificado de registro de residente comunitario o Tarjeta de residencia de familiar de un ciudadano de la Unión“. Select to pay in cash (“en efectivo“) as payment option and leave the IBAN data blank. Last but not least, press “submit”, a PDF will be automatically generated that you will need to print. Go to the nearest bank with the printed pages and pay the fee in cash. IV. On the day of your appointment present yourself at the designated location with your documents! Please note: It is important to apply for your TIE during the first 30 days after entering Spain. Your student visa won’t always be sufficient to validify your stay in Spain. Also check out our blog about how to apply for a student visa. Before going to your appointment, you will need to pay the 012 tax fee (model 790) in the amount of 15,76 Euros (July 2018). Open the tax document here and fill out the form with your personal data. Click the section labelled “TIE que documenta la primera concesión de la autorización de residencia temporal, de estancia o para trabajadores transfronterizos“. Select to pay in cash (“en efectivo“) as payment option and leave the IBAN data blank. Last but not least, press “submit”, a PDF will be automatically generated that you will need to print. Go to the nearest bank with the printed pages and pay the fee in cash. If my program of studies lasts longer than 1 year, can I renew my TIE? Yes you can renew your TIE by filling out the application of extension, paying the extension fee, following the same steps necessary to obtain the TIE (read above). I have to travel and my TIE is expired. What do I do? If you have to leave Spain and your card is in the renewal process, you can apply for a so called “Autorización de Regreso” (permission to return), which will permit you to return to the country even if your card has already expired. This authorization permits you to leave and re-enter the country ONCE over a period of 90 days (the authorization of return is only valid to enter directly into Spain). If you return through another country in the Schengen zone, you should check in advance if you need a visa and process it before you book your flight. Upon re-entry, your regreso paper will be stamped and therefore unusable. If you need to leave the country again and your documents are still expired, you will need to apply for another Autorización de Regreso. To find out how to apply for this document click here. Simply fill out the form below and your query will be sent to us as well as to our friends at Proyecto Océano, one of Madrid’s most known legal associations, who are also here to help you out! Please note: By sending the form below, you automatically agree that we can forward your data to Proyecto Océano. Hi – what happens if as an EU national has a NIE from having studied abroad in Madrid two years ago, and now returns to teach english in a city just outside of Madrid? Is there a NIE renewal process? Or does the initial NIE last? Thanks for any help! Technically, the only thing you would have to change on your NIE document is the address! You can do this by following the same steps in this article for applying for the NIE the first time! I was wondering whether the rules for the TIE had changed (in June 2017), since I’ve been informed by other applicants that you no longer need the empadronamiento certificate. I’ll be staying with friends for my first month, so I won’t have a rent contact (and no empadronamiento doc). Can I still apply for the TIE or do I need another document to supplement the lack of empadronamiento? Thanks for the article. I have been searching for just this! I come from Ireland and we have no national identity card. When I apply for NIE will I get a Spanish identity card with my photo and address? Should I choose a different type of appointment as I need a card or is Certficados UE the appropriate appointment? If not how to I satisfy the Spanish legal requirement to carry an identity document at all time? Your post is most helpful! I have a question: I am a Ph.D. student staying with my wife here in Lleida. My wife does not have a NIE yet (but I already have a NIE and TIE). I applied for student visa with my wife as my dependent (reunification process). My wife will be staying with me in the whole duration of my Ph.D. program. How should she apply for NIE and eventually TIE? I have her registered already in the townhall. Your situation goes a little far beyond my knowledge of NIE/TIE applications. I suggest you try contacting your consulate! They should be able to help you out! Hello! Thank you for the information. I have a student visa(with an NIE number). And after I have my TIE, am I able to travel to UK? (I know it is in the EU, but UK is always a bit different). Thank you for answering! Yes you have it exactly right! Once all your papers and ID’s are in order you can travel to the UK and beyond! Hi Leah, Ill be moving to Salamanca in about two weeks. I have an italian passport, my school doesnt help me with any of the paper work. Any other recommendations? my study lasts for about 6 months and then ill be applying for internships at different companies. i already have an apartment and all that. Should i make the appointment before getting to spain? To make your NIE appointment you can basically follow all the same instructions in this article for EU citizens, but rather than indicating Madrid as your location, you can indicate Salamanca! The process should more or less be the same! All the information you need is laid out in this article! So try to follow it along a you should be fine! Extranjero (NIE) y Certificados’, or do I need both? The official website of the Spanish governemnt states that the applying for the NIE need the EX-18 form. And those applying for the TIE need the EX-17 form. Hello. I jan a question. My husband and I came from the Philippines. We’re already living here in Spain for almost 2yrs now, without papers. I gave birth to our son last June 21, 2017. My question is, can we already start the process of our documents to have our legal papers to stay here in Spain because of our son was born here a 2months ago? Do you know how can we start and how much should we spend for all the processing fees? Your response is much appreciated… thank you so so much. Hi! is it a big issue if I am unable to make my TIE appointment? I do not have a permanent address so I would like to wait until I have all my documents. Hi! First of all – thank you for the great guide. I have a question though. I do have a NIE number, but the one which is issued on a A4 piece of paper (I filed the EX15 form). Now, to obtain the NIE for staying over 3 months (I mean that small card), do I follow the entire process for getting the NIE but with the EX18 form, or is there a different way? Hi! I am working on a dependant visa here in Madrid. I got my NIE card when i was not working. So, do i need to reapply for NIE since I am having a work contract now?? This is because when I went to apply for government medical card they asked me to reapply for NIE since I am working now. Are you an EU Citizen or a Non-EU citizen? Hello! Thanks For the article! I am here in Spain on a Tourist Visa. I would like to buy property and need NIE, but to get that from what I understand I must get TIE. Must I first get permission to stay longer to get the TIE? If you are not a citizen of the European Union then you will not be able to get a visa, a NIE or a TIE from within Spain. You visa status must be established when you enter the country. If you wish to change your status you must go home first, apply for a visa (student or work) and then enter Spain with that visa. Once you have entered Spain with that visa you can apply for the TIE. Essentially, you need a valid visa to apply for the TIE, and a tourist visa does not meet the regulations required for that. How long does the TIE last? By default, a maximum of one year or the length of the course (If the course is for 9 months)? Your TIE is basically the same as a visa. So it is valid for as long as your work/study/internship period lasts for. If your course lasts 9 months, your TIE will be valid for 9 months! Hey, i applied for my NIE and they gave me a receipt or a paper that i should show them when i go the second time to get my NIE. The problem is that i lost this paper… what should i do ? Do the process all over again ? Or just show my documents another time ? Plz help ! I’m lebanese and I have my appointment for my residency card on Thursday. I’m studying for a couple of month. It’s not easy to get information from them but, would you possibly know if I need an empadronamiento? As a valid TIE holder, does movement around the EU include the UK or does that require a separate VISA? The TIE is a Spanish document that is related to your visa status in Spain. You should always travel with you passport as some countries might not recognise it the same way Spain does. In regards to needing a visa for the UK… this completely depends on your nationality so I would advise you to please contact your embassy! I am a Non EU citizen in Tenerife on a tourist visa. I have established a company here in Tenerife which has a NIE and a tax number. My question is : Can I apply to the local police for a TIE/NIE for myself in order to stay more than 90 days. Hello! Great article for the application and very thorough. My situation is slightly different. I am Canadian with a youth mobility visa (allowed to study,travel,work) for a year. I already have an NIE printed and stamped on my visa. Is this enough or do I need to get a TIE. As a Canadian, I am allowed to travel to the UK for 6 months and to any ither schengen for 3months out of 6 months. 1) Just wondering if TIE is actually mandatory for stays longer than 3 months? 3) How do you apply for TIE without a permanent address (as my plan is to travel long-term)? Can you please tell me if I can apply for the NIE card as my Student Visa is valid for 6 months? Moreover, I have got the job offer from a company so will I be able to obtain NIE card on the basis of my student visa as I would be studying and working too? I’ve heard there are new rules for 2018. Any updates that you know of? I am planning on moving to spain, I’m thinking madrid. Hey Katy. The student visa you apply for will only be valid for the amount of time you register classes for. There will be a set expiration date of the visa. So if you only apply for three months, your visa will only be valid for three months. In theory, you’re not actually allowed to work while on a student visa without special permission. If you’re going through a program it will be fine, but if you’re doing it on your own be careful! Helloooo! I need a clarification pleaaase .. Does the receip they give when you apply for an extension include 90 days since the day of expiration or the day you apply for it? For example, if my expiration day is on 30th of June, and I apply for an extension on 1st May. Will the receip be valid for July, August, September? or only for May, June and July? I am 66yo and retired and here to live permanently. I applied for an NIE at one of the designated Police stations (I want to buy a vehicle and get long term rental) but was told that I could NOT get one and had to go straight to the process of applying for residency. Even though that takes much longer, I have no problem with that as long as my EU passport is good enough to do what I need to do now. Do you know if I can actually do that? Could you please tell me what this means – “Copy of the granted administrative decision, in the case of initial authorizations”? I am in Spain on a 1 year youth mobility visa from Australia and I have an appointment next week to get the TIE. I received my NIE while applying for the visa in Australia. I got a temporary NIE (paper version) last year. I’ve been living/working back and forth between the UK and Spain but now want to stay in Spain for a longer period, so need to get the more permanent NIE card, registered to a different address in Madrid. Do I just go ahead and apply as if for the first time? Or can I use my initial NIE number to get a more permanent card? Also, given that I work freelance for various clients (outside Spain) do you have any advice for what kind of document I should use to certify the reason for my stay in Spain? Thanks for any help you can provide. Hi Leah , Is it possible to apply NIE Card through online in Madrid and once apply how many days It will take to get an NIE Card . If anyone has a Youth Mobility Visa (Working Holiday Visa) from Australia, Canada or wherever, I have some advice for completing the form. On page 2 where you select your SITUACIÓN EN ESPAÑA choose “other” and write “acuerdo movilidad”. Also, you don´t need a confirmation from a job, studies, or Carta de Nombramiento to get this tarjeta. Suerte! The above is listed in your #4 prepare your documents for a non EU applying for a TIE. What is the granted administrative decision exactly and what does this paper look like? I am also still awaiting my Certificate of residency (Empadronamiento) as they needed an original rental contract with signature (mine was done via web scan). The government site states the TIE must be applied for within 30 days of arrival in Spain. My April 15th deadline is fast approaching. Does anyone know how being over the 30 day limit is handled? Any suggestions/experiences would be greatly appreciated. Getting a bit nervous. I am located in the Girona region by the way. Thanks so much! Hi Leah , do you have some information on how to renew NIE card? Thanks! I have just been to the bank to pay the tax fee to get the NIE and they won’t let me pay it …. because I don’t have a NIE. They said my passport number won’t work in the system and I have to get a number from the police. I am doing my Masters in Madrid. I have my NIE already but do I require the new NIE to do the internship in Madrid? I am an American living in Madrid that has a student NIE card that recently expired and would like help on how to renew it in order to stay in Madrid. The reason I am in need for an extension is because I was recently accepted into a Masters program here. I have all the original documentation from my initial visa and want to know what application I need to fill. Any information would be much appreciated. Please and thank you. You will be fine. It was out of your control which dates were available so they will not (or rather should not) have a problem with it. In my experience they do not mind too much as they understand the appointments are hard to get! I have just got back from an unsuccessful appointment with the oficina de extranjeros trying to get my certification, in the above for EU citizens you imply that an EHIC card is an acceptable means for healthcare. I would like to clarify that unless you are a student this is NOT the case, you will need to be registered with social seguridad or have private insurance. I would also stress although my situation is unusual, all documentation for justification needs to be in Spainish if this is not the case it needs to be translated. Hi there Chris, Yes you are correct. If you are here to work then you always need a Seguridad social. This is highlighted in our What Documents to I Need to Live, Study or Work in Spain article (linked below). Working conditions are slightly more complex than studying conditions. I will move to spain with my family. I’m non-european but my husband has an European citizenship so I would like to know, which type of NIE the Eu family members (without eu citizenship) should apply? I will move to Madrid with my family. I’m non-european but my husband has an European citizenship so I would like to ask, which type of NIE (for the family members of the union) that I have to apply. Hey your post has been really helpful. My problem is I can not get an appointment for my Empadronamiento within 30 days upon my arrival of Spain for there is no vacancy available on the municipal government’s website. And does it matter which office that I choose? Thanks very much.